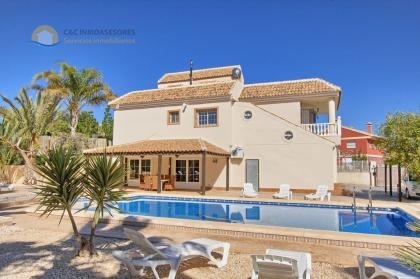 In the south of the Costa Blanca close to the beach and near the airport we are offering this beautiful property (villa). It comprises of 5 bedrooms and 3 bathrooms and is located in Rojales. This property is East facing. Its plotsize is 225 m2 (with apartments obviously 0 m2), whilst its built size is 160 m2. The property has been built in 2009 and is offered furnished. With this property comes a communal pool.